PlayPower Canada is the leader when it comes to playground site furnishings in our nation. We have supplied playground furnishings for Canada’s parks and recreation areas, playgrounds, schools, day cares, businesses, communities and more. 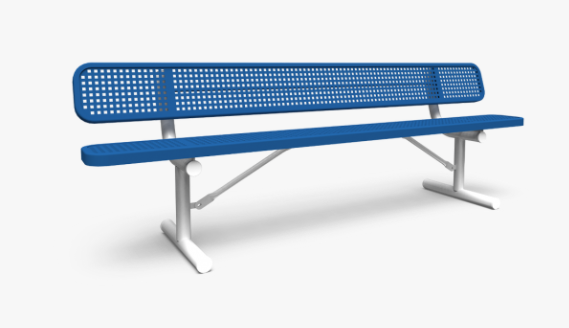 If you need park site furnishings for your park or playground, you can trust PlayPower Canada to provide you with the value and quality you need. The amenities and furnishings from these brands offer the best materials, carefully tested components and the best certifications available – all at competitive prices. What Park Amenities Do You Need? Picnic tables to encourage parents to relax and sit while they supervise their children on the playground. Our tables also allow entire families to stay for some time at your park or recreation area. Benches to allow visitors to sit and relax and to allow your space to be more accessible for visitors with different abilities. Litter receptacles, including recycling receptacles, to keep your space clean. Umbrellas to provide shelter over picnic tables and other areas. Bike racks to encourage people to come to your playground or park on bikes, inspiring more sustainable modes of transport. Fencing to protect your investment and to ensure children can’t be harmed near water or other hazardous areas. Signs to welcome visitors, outline park rules and display the name of your playground, community or park. 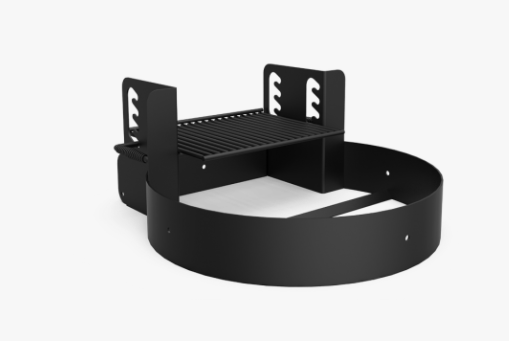 Grills and pits to allow your visitors make the most out of Canadian summers and the tradition of barbecuing outdoors. Entryways, which can be used with fencing or alone to create specific spaces for playgrounds or parks. 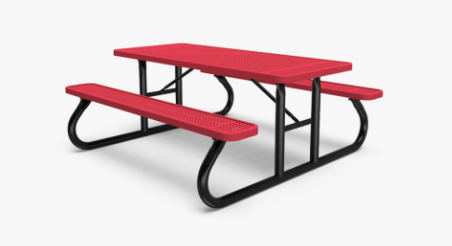 Our park furniture and playground furnishings come in a variety of styles, sizes, colors and price points so you can get exactly what you need. When you buy park equipment from PlayPower Canada, you enjoy our commitment to you. Our equipment has been carefully chosen and tested for longevity, ease of maintenance, style and durability. Our products are designed to last, even with harsh Canadian winters and hot summers. They will stay looking great, without needing frequent repainting or other demanding maintenance. They will provide years of fun use for visitors to your park, playground or other site. At the same time, PlayPower Canada offers you site furnishings that are attractive and designed to look great. We can help you choose the items that will best suit the style and the colors of your existing playground or recreational area while making sure your play area or relaxation area is as welcoming as possible. For more information on any of our site furnishing options, contact PlayPower Canada today! Wabash Valley specializes in lost-lasting site furnishings, and is committed to quality, reliability and the environment with special environmentally-friendly coatings to reduce your carbon footprint. Wabash Valley site furnishings include chairs, litter receptacles, benches, tables, planters, umbrellas and more. All are available in a variety of finishes, sizes, colors and styles, ensuring you get a custom solution. This company has a long history of developing quality products for a variety of commercial uses. Their products are already used by parks, hotels, restaurants, schools and other institutions, and Wabash Valley may be the right fit for you, too. Miracle Recreation has been in business since 1927, manufacturing playground equipment as well as site furnishings. The company has focused on creating thrilling and exciting play areas for parks, communities, schools and other locations. Miracle also offers player benches, site furniture, spectator benches and more. You can choose from picnic tables, litter receptacles, signage and a variety of other solutions to create the look you want. Available in a range of styles and colors, Miracle site furnishings are designed to work with your space. Little Tikes Commercial site amenities help you create a welcoming public space that promotes health, happiness, and well-being for all ages. Building on Iron Mountain Forge’s proud heritage of quality craftsmanship, rugged durability, and timeless design, our reinvented line of site amenities establishes a unique sense of place and encourages people to gather, relax, and play.